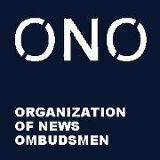 The annual three day conference of the Organization of News Ombudsmen begins on May 19th in Los Angeles. About 40 members of ONO from more than 20 countries will gather to reconnect with old friends and to get acquainted with new members. It's been a time of expansion for ONO with new members in Latin America, Africa, Germany and Eastern Europe. Even in the US, where ONO lost more than a dozen members due to the recession, there are early signs of an American return. But before we get too self-congratulatory, the meeting is to compare and contrast the state of the media in our respective news organizations and countries. This year, there will be no shortage of issues. And as usual, the issues are rarely clear cut. whether ombudsmen should be in the business of protecting sources. It may seem obvious to journalists, but the question becomes more complicated when a reporter's credibility is involved and whether a news organization owes a higher obligation to the public or to the reporter. Should ombudsmen correct opinion-based journalists, aka, columnists? Should ombudsmen intervene when the news organization engages in "pack journalism" even if the public does not object? Has a freer press helped or hindered democracy in the Arab world after the "Arab Spring?" Is role of an ombudsman helpful in that process? "Sponsored content" is one way in which newspapers have journalists writing advertising copy. It saves money for the paper, but does it sully the reputations of the journalists? And what should ombudsmen do when it happens? Also we will be looking at how the role of the news ombudsman itself, has changed, and whether ombudsmen need to reassess their traditional position inside a media organization. Should they always remain at a distance from the editorial processes? Or should they be more involved as "trusted advisers" not only to the public, but to journalists and management as well? As one publisher (who once employed an ombudsman, but dropped the position for economic reasons) told me when I asked him what would it take for him to re-hire an ombuds: "You guys have to step up your game." Media organizations, especially in North America are going through contortions trying to find the next successful business model. Ombudsmen can provide credibility and trust with the public. The hard question for ONO, is that still enough?